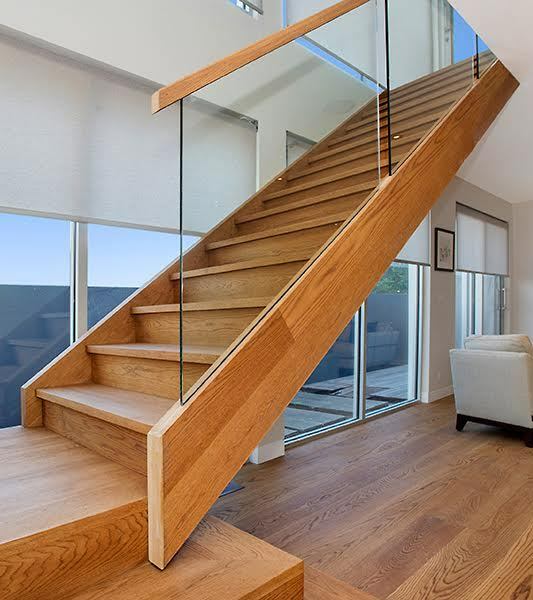 Alongside glass, wire is the material of choice for a modern or contemporary balustrade that delivers a minimalist feel. 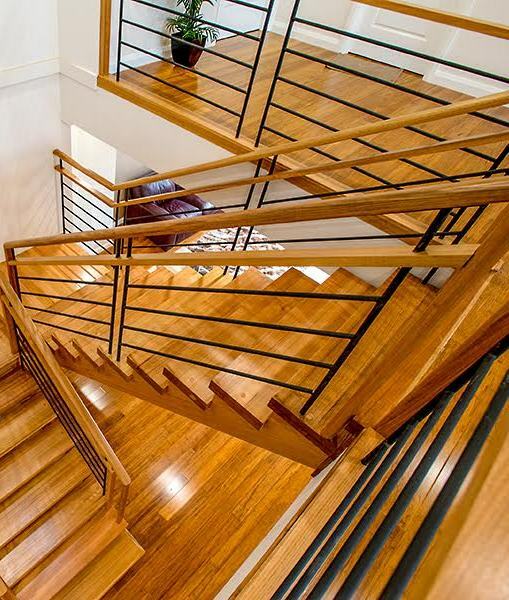 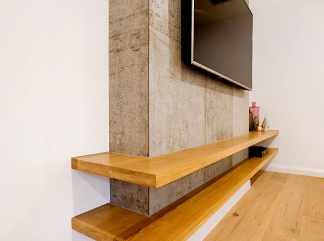 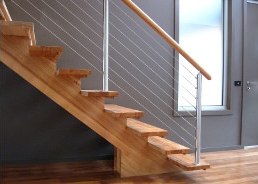 However wire has the advantage of being far cheaper, particularly on long flights of stairs, and significantly less maintenance in most staircase designs.A wire balustrade is essentially tensioned stainless steel ropes, connected either horizontally or vertically to a support post. 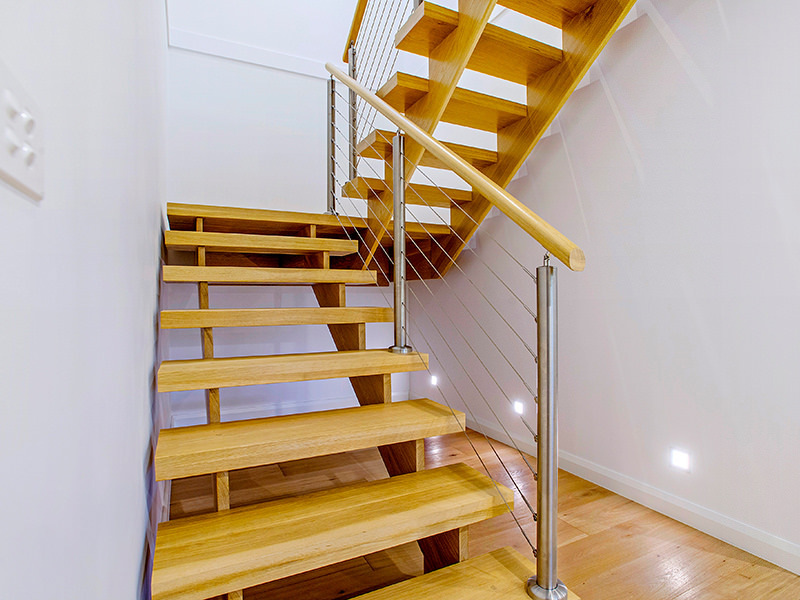 The posts that hold the wire and handrail above it could be either timber or steel. 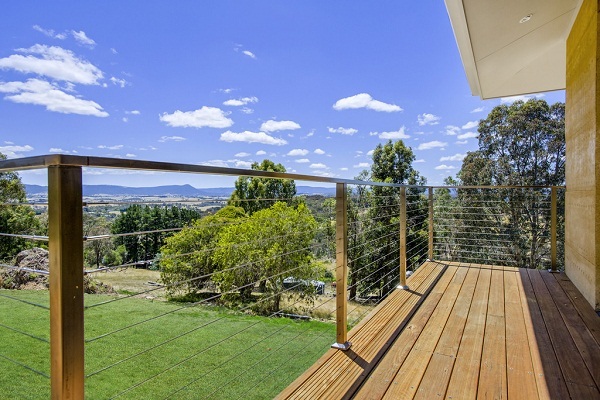 Used indoors, custom made wire balustrading keeps the staircase open to the surrounding areas allowing sound and light to travel easily from one space to another, while on outdoor balconies and decks it ensures uninterrupted views and requires little maintenance to keep it looking good for years to come.